ROQUE VALDÉS, A. «Autismo y vacunas pediátricas», Vaccimonitor, 2004; 13:1-10. A Enfermedade meningococica trala vacunación (29 de marzo ó 2 3 de maio de 1998 ) Boletín epidemiolóxico de Galicia Vol. XI /1998, nº 2. Immunization Summary de la OMS y el Unicef (calendario de vacunación y las coberturas vacunales de todos los países del mundo). Edición 2010, datos de 2008. MORGAN, L. G. «Pertussis immunization: an update», Journal of the Canadian Chiropractic Association (JCCA), 1997; 41: 86-90. NAKATANI, H., SANO, T. e IUCHI, T. «Development of vaccination policy in Japan: current issues and policy directions», Japanese Journal of Infectious Diseases, 2002; 55: 101-111. OFFIT, P. A., QUARLES, J., GERBER, M. A., HACKETT, C. J., MARCUSE, E. K., KOLLMAN, T. R., GELLIN, B. G. y LANDRY, S. «Addressing parents’ concerns: do multiple vaccines overwhelm or weaken the infant’s immune system?», Pediatrics, 2002; 109: 124-9. BRUNTON, D. «Smallpox inoculation and demographic trends in eighteenth-century Scotland», Medical History, 1992; 36: 403-429. MONTAGU, LADY MARY WORTLEY. Letters of the Right Honourable Lady M–y W—y M—-e: written, during her travels in Europe, Asia and Africa, to persons of distinction, men of letters, &c. in different parts of Europe: which contain, among other curious relations, accounts of the policy and manners of the Turks; drawn from sources that have been inaccessible to other travellers, editado por T. BECKET y P. A. DE HONDT, Londres, 1763. RUMEU DE ARMAS, Antonio. De arte y de historia, Real Academia de la Historia, Madrid, 2004. ZWANENBERG, D. VAN. «The Suttons and the Bussiness of Inoculation». Medical History, 1978; 22: 71-82. Ensayos sobre la inoculación de la vacuna, o método fácil y seguro de preservarse para siempre de las viruelas, Dr. Colon. Traducido por el Dr. Piguillem. Sierra y Martí. Barcelona 1800. La vacuna en España, o cartas familiares sobre esta nueva inoculación, Francisco Piguillem. Sierra y Martí. Barcelona. 1801. JENNER, E. An inquiry into the causes and effects of the variolae vaccinae. A disease discovered in some of the western counties of England, particularly Gloucestershire, and known by the name of the cow pox, Sampson Low, Londres, 1798. RUMEU DE ARMAS, Antonio. De arte y de historia. Real Academia de la Historia, Madrid, 2004. Tratado histórico y práctico de la vacuna. Moreau de la Sarthe. Traducido por Balmis. Impreso en 1803 en la Imprenta Real de Madrid. BALAGUER PERIGÜELL, E. y BALLESTER AÑÓN, R. En el nombre de los niños: la Real Expedición Filantrópica de la Vacuna (1803-1806), Monografías de la Asociación Española de Pediatría, Madrid, 2003. RAMÍREZ MARTÍN, S. M. «El niño y la vacuna de la viruela rumbo a América: la Real Expedición Filantrópica de la Vacuna (1803-1806)», Revista Complutense de Historia de América, 2003; 29: 77-101. Foto de Ali Maow Maalin, último caso natural de viruela se produjo en Somalia, el 26 de octubre de 1977. Centers for Disease Control and Prevention. Update: multistate outbreak of monkeypox-Illinois, Indiana, Kansas, Missouri, Ohio, and Wisconsin, 2003. Morbidity and Mortality Weekly Report, 2003; 52: 642-6. Centers for Disease Control and Prevention. Side effects of smallpox vaccination. Centers for Disease Control and Prevention. Smallpox: preparation and planning. FENNER, F., HENDERSON, D. A., ARITA, I., JEŽEC, Z. y LADNYI, I. D., Smallpox and its eradication. World Health Organization, Ginebra, 1988. HEMMER, C. J., LITTMANN, M., LÖBERMANN, M., MEYER, H., PETSCHAELIS, A., y REISINGER, E. C., «Human cowpox virus infection acquired from a circus elephant in Germany», International Journal of Infectious Diseases, 2010; 14 (suppl. 3): e338-e340. «Recommendations of the International Task Force for Disease Eradication», Morbidity and Mortality Weekly Report, 1994; 42(RR-16): 8. RIMOIN, A. W., MULEMBAKANI, P. M., JOHNSTON, S. C., LLOYD SMITH, J. O., KISALU, N. K., KINKELA, T. L., BLUMBERG, S., THOMASSEN, H. A., PIKE, B. L., FAIR, J. N., WOLFE, N. D., SHONGO, R. L., GRAHAM, B. S., FORMENTY, P., OKITOLONDA, E., HENSLEY, L. E., MEYER, H., WRIGHT, L. L. y MUYEMBE, J. J. «Major increase in human monkeypox incidence 30 years after smallpox vaccination campaigns cease in the Democratic Republic of Congo», Proceedings of the National Academy of Sciences of USA (PNAS), 2010; 107: 16262-7. CALBO TORRECILLAS, B. Vacuna contra la rabia, 2004. INSTITUT PASTEUR. History in movement. JACKSON, A. C. «Why does the prognosis remain so poor in human rabies?», Expert Review of Anti-Infective Therapy, 2010; 623-5. WUNNER, W. H., BRIGGS, D. J. «Rabies in the 21 century». PLoS Neglected Tropical Diseases, 2010; 4: e591. PÉREZ-TRALLERO, E. «Tuberculosis. España es diferente y el olvido del BCG», Anales de Pediatría, 2006; 64: 1-4. TORRICO, R. «Breve recuerdo histórico de la tuberculosis», Archivos Bolivianos de Historia de la Medicina, 2004; 10: 54-63. WORLD HEALTH ORGANIZATION. Global tuberculosis control-epidemiology, strategy, financing, Documento WHO/HTM/TB/2009.411, OMS, Ginebra, 2009. Centers for Disease Control and Prevention. Epidemiology and Prevention of Vaccine-Preventable Diseases. ATKINSON, W., WOLFE, S., HAMBORSKY, J. y MCINTYRE, L., eds. 11th ed. Public Health Foundation, Washington DC, 2009. ESKOLA, J., LUMIO, J. y VUOPIO-VARKILA, J., «Resurgent diphtheria-are we safe?», British Medical Bulletin, 1998; 54(3): 635-45. VITEK, C. R. y WHARTON, M. «Diphtheria in the former Soviet Union: reemergence of a pandemic disease», Emerging Infectious Diseases, 1998; 4: 539-50. ESEVERRI, J. L., RANEA, S. y MARÍN, A. «Reacciones adversas a vacunas»,. Allergol Immunopathol, 2003; 31: 125-38. FAIR, E., MURPHY, T. V., GOLAZ, A. y WHARTON, M. «Philosophic objection to vaccination as a risk for tetanus among children younger than 15 years», Pediatrics, 2002; 109: E2. Ministerio de Sanidad y Consumo (España). Vacunación en adultos. Recomendaciones. Vacuna de difteria y tétanos, actualización 2009. Organización Panamericana de la Salud. Eliminación del tétanos neonatal, guía práctica. Segunda edición, Publicación científica y técnica n.º 602. Washington, OPS 2005. Tétanos-Puerto Rico, 2002. MMWR 2002; 51: 613-615. UK Department of Health. Immunisation against infectious disease, 3rd ed. The Stationery Office, Londres, 2006. ALTUNAIJI, S., KUKURUZOVIC, R., CURTIS, N., MASSIE, J. «Antibióticos para la tos ferina (pertusis)» (revisión Cochrane traducida), en: La Biblioteca Cochrane Plus, 2008, Núm. 2. Oxford, Update Software Ltd.
BERKOVIC, S. F., HARKIN, L., MCMAHON, J. M., PELEKANOS J. T., ZUBERI, S. M., WIRRELL, E. C., GILL, D. S., IONA, X., MULLEY, J. C. y SCHEFFER, I. E. «De-novo mutations of the sodium channel gene SCN1A in alleged vaccine encephalopathy: a retrospective study», Lancet Neurol, 2006; 5: 488-92. CHEERRY, J. E. «Pertussis in the preantibiotic and prevaccine era, with emphasis on adult pertussis», Clinical Infectious Diseases, 1999; 28 Suppl 2: S107-11. COFRÉ GUERRA, J. «Quimioprofilaxis en coqueluche: ¿sacar agua a canastos?», Rev Chil Infect, 2006; 23: 60-6. DOJA, A. «Genetics and the myth of vaccine encephalopathy», Pediatric Child Health, 2008;13: 597-9. HEININGER, U., KLICH, K., STEHR, K. y CHERRY, J. D. «Clinical findings in Bordetella pertussis infections: results of a prospective multicenter surveillance study», Pediatrics, 1997; 100: E10. JEFFERSON, T. «Why the MRC randomized trials of whooping cough (pertussis) vaccines remain important more than half a century after they were done», Journal of the Royal Society of Medicine, 2007; 100: 343-5. PINEDA SOLAS, V. Tos ferina. En: Comité Asesor de Vacunas. Asociación Española de Pediatría. Manual de vacunas en pediatría, 4.ª edición, 2008. GANGAROSA, E. J., GALAZKA, A. M., WOLFE, C. R., PHILLIPS, L. M., GANGAROSA, R. E., MILLER, E. y CHEN, R. T. «Impact of anti-vaccine movements on pertussis control: the untold story», Lancet, 1998; 351: 356-61. HELLENBRAND, W., BEIER, D., JENSEN, E., LITTMANN, M., MEYER, C., OPPERMANN, H., WIRSING VON KÖNIG, C. H. y REITER, S. «The epidemiology of pertussis in Germany: past and present», BMC Infectious Diseases, 2009 feb 25; 9: 22. NICOLL, A. y GARDNER, A. «Whooping cough and unrecognised postperinatal mortality», Archives of Disease in Childhood, 1988; 63: 41-47. AVELLÓN, A., CABRERIZO, M., DE MIGUEL, T., PÉREZ-BREÑA, P., TENORIO, A., PÉREZ, J. L., DE ARAGÓN, M. V. y TRALLERO, G. «Paralysis case and contact spread of recombinant vaccine-derived poliovirus, Spain», Emerging Infectious Diseases, 2008; 14: 1807-9. Centers for Disease Control and Prevention. Epidemiology and Prevention of Vaccine-Preventable Diseases. ATKINSON, W., WOLFE, S., HAM-BORSKY, J. y MCINTYRE, L., eds. 11th ed. Public Health Foundation, Washington DC, 2009. HORSTMANN, D. M. «The poliomyelitis story: a scientific hegira», Yale Journal of Biology and Medicine, 1985; 58: 79-90. Organización Mundial de la Salud. Poliomielitis. Nota descriptiva n.º 114. OSHINSKY, D. M. Polio: An American story. Oxford University Press, Nueva York, 2005. WARRAICH, H.J. «Religious opposition to polio vaccination», Emerging Infectious Diseases, 2009; 15: 978. Centers for Disease Control and Prevention (CDC). «Outbreaks following wild poliovirus importations – Europe, Africa, and Asia, January 2009September 2010», MMWR Morb Mortal Wkly Rep, 2010; 59: 1393-9. COLLINS, H. «The man who saved your life – Maurice R. Hilleman – developer of vaccines for mumps and pandemic flu», Philadelphia Enquirer, 30 de agosto, 1999. NEWMAN, L. «Maurice Hilleman», British Medical Journal, 2005; 330: 1028. PERRY, R. T. y HALSEY, N. A. «The clinical significance of measles: a review», The Journal of Infectious Diseases, 2004; 189 (Suppl 1): S4-16. «Brot de xarampió a Catalunya amb afectació elevada dels nens d’un any» (període 2006-2007)», Butlletí Epidemiològic de Catalunya, 2007: 28: 168-72. Centers for Disease Control and Prevention (CDC). «Measles outbreakNetherlands, April 1999-January 2000». MMWR Morb. Mortal Weekly Report, 2000; 49: 299-303. Confirmed measles cases in England and Wales in 2010: update to endMay Health Protection Report, 2010; 27. Departament de Salut. «Es dóna per finalitzat el brot de xarampió que s’ha desenvolupat a les regions sanitàries de Barcelona i el Camp de Tarragona», nota de prensa de 25/07/2007. Dirección General de Salud Pública. Informe sobre la situación del sarampión en Catalunya. Actualización 2005. Editorial. «Measles once again endemic in the United Kingdom», Eurosurveillance, 2008; 13. HAHNE, S., TE WIERIK, M. J., MOLLEMA, L., VELZEN, E. VAN, DE COSTER, E., SWAAN, C., DE MELKER H. E. y BINNENDIJK, R. VAN, «Measles outbreak, the Netherlands, 2008», Emerging Infectious Diseases, 2010; 16: 567-9. HOF, S. VAN DEN, MEFFRE, C. M., CONYN-VAN SPAENDONCK, M. A., WOONINK, F., DE MELKER, H. E. y BINNENDIJK, R. S. VAN, «Measles outbreak in a community with very low vaccine coverage, the Netherlands», Emerging Infectious Diseases, 2001; 7 (3 Suppl): 593-597. MILLER, C. L. «Deaths from measles in England and Wales, 1970-83». British Medical Journal (Clinical Research Ed.) 1985; 290: 443-444. ROGGENDORF, H., MANKERTZ, A., KUNDT, R. y ROGGENDORF, M. «Spotlight on measles 2010: measles outbreak in a mainly unvaccinated community in Essen, Germany, March-June 2010». Eurosurveillance, 2010: 15, 1 de julio. SALLERAS, L., DOMÍNGUEZ, A. y TORNER, N. «Confirmed interruption of indigenous measles transmission in Catalonia». Eurosurveillance, volumen 6, número 7, 1 de julio de 2001. WICHMANN, O., SIEDLER, A., SAGEBIEL, D., HELLENBRAND, W., SANTIBANEZ, S., MANKERTZ, A., VOGT, G., TREECK, U. y KRAUSE, G. «Further efforts needed to achieve measles elimination in Germany: results of an outbreak investigation», Bulletin of the World Health Organization, 2009; 87; 108-115. Canadian Paediatric Society. 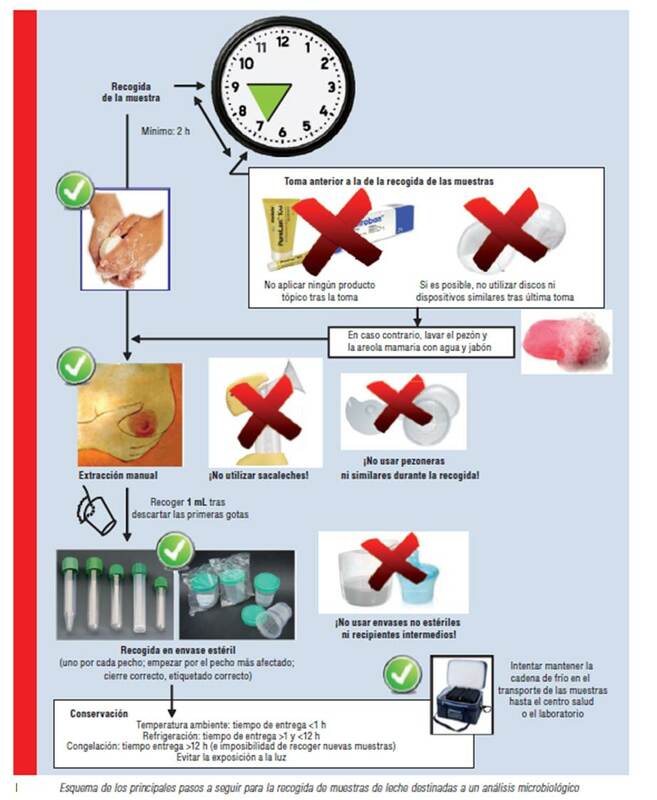 Prevention of congenital rubella syndrome. Pediatric Child Health, 2007; 12: 795-797. DAVIDKIN, I., PELTOLA, H. y LEINIKKI, P. «Epidemiology of rubella in Finland», Eurosurveillance, 2004; 9: 13-4. PANDOLFI, E., CHIARADIA, G., MONCADA, M., RAVA, L. y TOZZI, A. E. «Prevention of congenital rubella and congenital varicella in Europe», Eurosurveillance, 2009; 1416-20. PELTOLA, H., JOKINEN, S., PAUNIO, M., HOVI, T., y DAVIDKIN, I. «Measles, mumps, and rubella in Finland: 25 years of a nationwide elimination programme», The Lancet Infectious Diseases, 2008; 8: 796-803. PLOTKIN, S.A., «The history of rubella and rubella vaccination leading to elimination», Clinical Infectious Diseases, 2006; 43: S164-8. «Progress towards eliminating rubella and congenital rubella syndrome in the western hemisphere, 2003-2008», Weekly Epidemiological Record, 2008; 83: 395-400. GUPTA, R. K., BEST, J. y MACMAHON, E. «Mumps and the UK epidemic 2005», British Medical Journal, 2005; 330: 1132-5. FONSECA, J. C. F. «Histórico das hepatites virais», Revista da Sociedade Brasileira de Medicina Tropical, 2010; 43: 322-30. CANO, R., LARRAURI, A., MATEO, S., ALCALÁ, B., SALCEDO, C. y VÁZQUEZ, J. A. «Impact of the meningococcal C conjugate vaccine in Spain: an epidemiological and microbiological decision», Eurosurveillance, 2004; 9: pii=474. RAJAPAKSA, S. y STARR, M. «Meningococcal sepsis», Australian Family Physician, 2010; 39: 276-8. BALMER, P., BORROW, R. y MILLER, E. «Impact of meningococcal C conjugate vaccine in the UK», The Journal of Medical Microbiology, 2002; 51: 717-22. Departament de Sanitat i Seguretat Social. Programa per a la vacunació antimeningocòccica C conjugada a Catalunya, Generalitat de Catalunya, Barcelona, 2000. BARRICARTE, A., GIL-SETAS, A., TORROBA, L., CASTILLA, J., PETIT, A., POLO, I., ARRIAZU, M., IRISARRI, F. y GARCÍA CENOZ, M. «Enfermedad neumocócica invasiva en la población menor de 5 años de edad de Navarra. (2000-2005): impacto de la vacuna conjugada», Medicina Clínica, 2007; 129: 41-45. Comité Asesor de Vacunas. Asociación Española de Pediatría. Manual de vacunas en pediatría, 4.ª edición, 2008. GUEVARA, M., BARRICARTE, A., PÉREZ, B., ARRIAZU, M., GARCÍA CENOZ, M. y CASTILLA, J. «La vacuna neumocócica conjugada heptavalente (Prevenar™).Diferencias en su efectividad en distintas poblaciones», Anales del Sistema Sanitario de Navarra, 2008; 31: 171-92. REYNOLDS, M. A., CHAVES, S. S., HARPAZ, R., LOPEZ, A. S. y SEWARD, J. F. «The impact of the varicella vaccination program on herpes zoster epidemiology in the United States: a review», The Journal of Infectious Diseases, 1 de marzo de 2008; 197 Suppl 2: S224-7. SCOTT, M., JANNECK, L., DENT, R., MERINO, D. Rotavirus. Brown University. Centers for Disease Control and Prevention. Epidemiology and Prevention of Vaccine-Preventable Diseases. ATKINSON, W., WOLFE, S., HAMBORSKY, J. y MCINTYRE, L., eds. 11th ed. Public Health Foundation, Washington DC,2009. Centers for Disease Control and Prevention. Rotavirus Vaccine (RotaShield®) and Intussusception. Detección de ADN de circovirus porcino tipo 1 y 2 (PCV-1 y PCV-2) en la vacuna frente a rotavirus Rotateq®. 10 de junio de 2010. Detección de ADN de circovirus porcino en las vacunas frente a rotavirus: Rotarix® y RotaTeq®. Documento de consenso de las sociedades científicas AEP, AEV, SEIP y SEGHNP. ÁLVAREZ-DARDET, C. et al. «Razones para una moratoria en la aplicación de la vacuna del virus del papiloma humano en España». Documento de consenso. Vacunas profilácticas frente al VPH. 2008. European Comission. Health and Consumer Protection Directorate – General. Cervix uteri 2002. GERVÁS, J. «La vacuna contra el virus del papiloma humano desde el punto de vista de la atención primaria en España», Rev Bras Epidemiol, 2008; 11: 505-525. Lista de indicaciones y contraindicaciones de la vacuna de la gripe en la web del Ministerio de Sanidad. COHEN, D. y CARTER, P. «Conflicts of interest. WHO and the pandemic flu “conspiracies”», British Medical Journal, 2010; 340: 1274-1279. GERVÁS, J. «El abordaje de la pandemia de gripe A desde la perspectiva de los profesionales sanitarios de atención primaria», Atención Primaria. 2010; 42: 541-2. VIBOUD, C., MILLER, M., OLSON, D., OSTERHOLM, M. y SIMONSEN, L. «Preliminary estimates of mortality and years of life lost associated with the 2009 A/H1N1 pandemic in the US and comparison with past influenza seasons», PLoS Current, 2010; RRN1153. La biblioteca de salud reproductiva de la OMS. Embarazo y parto. CROWCROFT, N. S., ANDREWS, N., ROONEY, C., BRISSON, M. y MILLER, E. «Deaths from pertussis are underestimated in England», Archive of Diseases of Childhood, 2002; 86: 336-8. DOURADO, I., CUNHA, S., TEIXEIRA, M. G., FARRINGTON, C. P., MELO, A., LUCENA, R. y BARRETO, M. L. «Outbreak of aseptic meningitis associated with mass vaccination with a urabe-containing measles-mumps-rubella vaccine: implications for immunization programs», American Journal of Epidemiology, 2000; 151: 524-30. GÜELL, O. «Un cambio en la composición de la vacuna ha originado un repunte de las paperas», El País, 4 de marzo de 2003. MILLER, C. L. y FLETCHER, W. B., «Severity of notified whooping cough», British Medical Journal, 1976; 1: 117-19. Instituto de Salud Carlos III, Centro Nacional de Epidemiología. Estudio seroepidemiológico: situación de las enfermedades vacunables en España, Madrid, 2000. RODRÍGUEZ SÁNCHEZ, J. A., SECO CALVO, J. «Las campañas de vacunación contra la poliomielitis en España en 1963», Asclepio. Revista de Historia de la Medicina y de la Ciencia. 2009; 61: 81-116. Direcção-Geral da Saúde e Instituto Nacional de Saúde Dr. Ricardo Jorge. Doença meningocócica em Portugal 2002 a 2006. Octubre 2007. HORSTMANN, D. M., SCHLUEDERBERG, A., EMMONS, J. E., EVANS, B. K., RANDOLPH, M. F. y ANDIMAN, W. A. «Persistence of vaccine-induced immune responses to rubella: comparison with natural infection», Review of Infectious Diseases, marzo-abril 1985; 7 Suppl 1: S80-5. Institute of Medicine Immunization Safety Review. Vaccinations and sudden unexpected death in infancy. National Academies Press, Washington, 2003. POLLOCK, T. M. y MORRIS, J. «A 7-year survey of disorders attributed to vaccination in North West Thames region», Lancet, 1983; 1: 753-7. Update: Vaccine Side Effects, Adverse Reactions, Contraindications, and Precautions. Recommendations of the Advisory Committee on Immunization Practices (ACIP). 6 de septiembre de 1996 / 45(RR-12); 1-35. ARRAZOLA MARTÍNEZ, M. P. y JUANES PARDO, J. R. «Inmunidad colectiva o de grupo», en: Comité Asesor de Vacunas. Asociación Española de Pediatría. Manual de vacunas en pediatría, 4.ª edición, 2008. GIANNAKOS, G., PIROUNAKI, M. y HADJICHRISTODOULOU, C. «Incidence of congenital rubella in Greece has decreased», British Medical Journal, 2000; 320: 1408. DAVIS, R. L., MARCUSE, E., BLACK, S., SHINEFIELD, H., GIVENS, B., SCHWALBE J., RAY, P., THOMPSON, R. S. y CHEN, R. «The Vaccine Safety Datalink Team. MMR2 immunization at 4 to 5 years and 10 to 12 years of age: a comparison of adverse clinical events after immunization in the Vaccine Safety Datalink project», Pediatrics, 1997; 100: 767-71. PAUNIO, M., PELTOLA, H., VALLE, M., DAVIDKIN, I., VIRTANEN, M. y HEINONEN, O. P. «Twice vaccinated recipients are better protected against epidemic measles than are single dose recipients of measles containing vaccine», Journal of Epidemiology & Community Health, 1999; 53: 173-8. TULCHINSKY, T. H., GINSBERG, G. M., ABED, Y., ANGELES, M. T., AKUKWE, C. y BONN, J. «Measles control in developing and developed countries: the case for a two-dose policy», Bulletin of the World Health Organization, 1993; 71: 93-103. Grupo de Pediatría Basada en la Evidencia de la Asociación Española de Pediatría de Atención Primaria. Niveles de evidencia y fuerza de las recomedaciones. 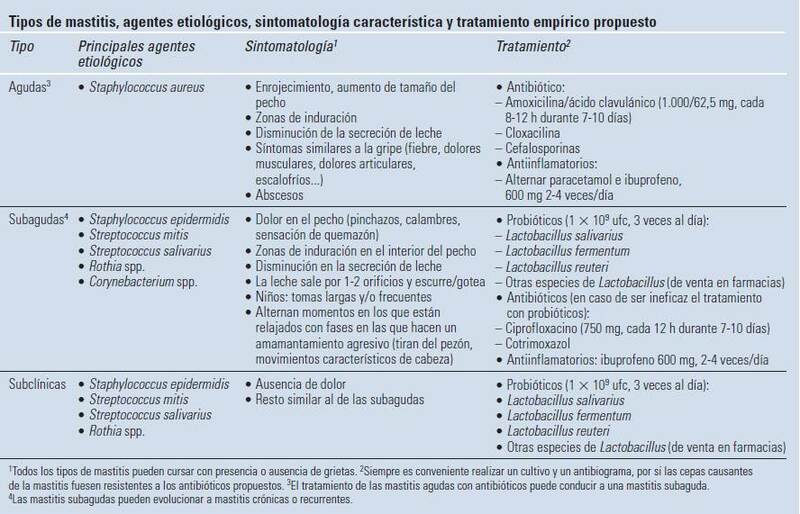 BLACKWELL, J. M., JAMIESON, S. E. y BURGNER, D. «HLA and infectious diseases», Clinical Microbiology Review, 2009; 22: 370-85. CRAVEN, D. E., AWDEH, Z. L., KUNCHES, L. M., YUNIS, E. J., DIENSTAG, J. L., WERNER, B. G., POLK, B. F., SYNDMAN, D. R., PLATT, R., CRUMPACKER, C. S. et al. «Nonresponsiveness to hepatitis B vaccine in health care workers. Results of revaccination and genetic typings», Annals of Internal Medicine, 1986; 105: 356-60. Recomendaciones a los padres de la Secretaría de Salud de Bogotá. Búsqueda en Google de «Bloqueo posvacunal»: solo sale una página donde critican el libro de Uriarte. MANZANERA ESCRIBANO, M. J., MORALES RUIZ, E., ODRIOZOLA GRIJALBA, M., GUTIÉRREZ MARTÍNEZ, E., RODRÍGUEZ ANTOLÍN, A. y PRAGA TERENTE, M. «Acute renal failure due to interstitial nephritis after intravesical instillation of BCG», Clinical and Experimental Nephrology, 2007; 11: 238-40. MODESTO, A., MARTY, L., SUC, J. M., KLEINKNECHT, D., DE FRÉMONT, J. F., MARSEPOIL, T. y VEYSSIER, P. «Renal complications of intravesical bacillus Calmette-Guérin therapy», American Journal of Nephrology, 1991; 11: 501-4. Dirección Xeral de Saúde Pública. «Protocolo de vixilancia e control do sarampelo no eido da súa eliminación de Galicia». Guías de Saúde Pública, Serie I: sección vacinas: Informe 9, abril 1999. BÉGAUD, B., DARTIGUES, J. F., DEGOS, F., DENIS, F., GAUDELUS, J., OLIVIER GOUT, O., LANOÉ, J. L., LEVY-BRUHL, D., CHRISTIAN PERRONNE, C. y SETBON, M. «Mission d’expertise sur la politique de vaccination contre l’hépatite B en France», 15 de febrero de 2002. MIKAELOFF, Y., CARIDADE, G., ROSSIER, M., SUISSA, S. y TARDIEU, M. «Hepatitis B vaccination and the risk of childhood-onset multiple sclerosis», Archives of Pediatric Bulletin of the World Health Organization and Adolescent Medicine, 2007; 161: 1176-82. ABSHIRE, T. C. y REEVES, J. D. «Anemia of acute inflammation in children», The Journal of Pediatrics, 1983; 103: 868-71. ABSHIRE, T. C. «The anemia of inflammation. A common cause of childhood anemia», Pediatric Clinics of North America, 1996; 43: 623-37. Rofecoxib en la Wikipedia en inglés. DIEPPE, P. A., EBRAHIM, S., MARTIN, R. M. y JÜNI, P. «Lessons from the withdrawal of rofecoxib», British Medical Journal, 2004; 329: 867-8. HILL, K. P., ROSS, J. S., EGILMAN, D. S. y KRUMHOLZ, H. M. «The ADVANTAGE seeding trial: a review of internal documents», Annals of Internal Medicine, 2008; 149: 251-8. Sanidad retira un fármaco habitual en tratamientos contra la obesidad. Diario Vasco, 23 de enero de 2010. CARVAJAL, A., CARO-PATÓN, T., MARTÍN DE DIEGO, I., MARTÍN ARIAS, L. H., ÁLVAREZ REQUEJO, A. y LOBATO, A. «Vacuna DTP y síndrome de muerte súbita del lactante. Un metaanálisis», Medicina Clínica (Barcelona), 1996; 106: 649-52. Grupo de Trabajo para el Estudio y Prevención de la Muerte Súbita Infantil de la Asociación Española de Pediatría. Libro Blanco de la muerte súbita del lactante (SMSL). 2.ª ed. Ediciones Ergón, Madrid, 2003. HOFFMAN, H. J., HUNTER, J. C., DAMUS, K., PAKTER, J., PETERSON, D. R., BELLE, G. VAN y HASSELMEYER, E. G. «Diphtheria-tetanus-pertussis immunization and sudden infant death: results of the National Institute of Child Health and Human Development cooperative epidemiological study of sudden infant death syndrome risk factors», Pediatrics, 1987; 79: 598-611. Institute of Medicine Immunization Safety Review. Vaccinations and sudden unexpected death in infancy, National Academies Press, Washington, 2003. LEE, J., ROBINSON, J. L. y SPADY, D. W. «Frequency of apnea, bradycardia, and desaturations following first diphtheria-tetanus-pertussis-inactivated polio-Haemophilus influenzae type B immunization in hospitalized preterm infants», BMC Pediatr, 2006; 6: 20. LEUNG, A. «Congenital heart disease and DPT vaccination», Canadian Medical Association Journal, 1984; 131: 541. RUSSEL-JONES, D. L. «Sudden infant death in history and literature», Archive of Diseases of Childhood, 1985; 60: 278-281. WALKER, A. M., JICK, H., PERERA, D. R., THOMPSON, R. S. y KNAUSS, T. A. «Diphtheria-tetanus-pertussis immunization and sudden infant death syndrome», American Journal of Public Health, 1987; 77: 945-51. WHITE, L. L. R. «Sudden Death in Infancy (A Preliminary Communication)», Proceeding of the Royal Society of Medicine, 1948; 41: 866-868. BREMNER, S. A., CAREY, I. M., DEWILDE, S., RICHARDS, N., MAIER, W. C., HILTON, S. R., STRACHAN, D. P. y COOK, D. G. «Timing of routine immunisations and subsequent hay fever risk», Arch Dis Child, 2005; 90: 567-73. PAUNIO, M., HEINONEN, O. P., VIRTANEN, M., LEINIKKI, P., PATJA, A. y PELTOLA, H. «Measles history and atopic diseases: a population-based cross-sectional study», JAMA, 2000; 283: 343-6. Centers for Disease Control and Prevention. Frequently asked questions about cancer, simian virus 40 (SV40), and polio vaccine. CARROLL-PANKHURST, C., ENGELS, E. A., STRICKLER, H. D., GOEDERT, J. J., WAGNER, J. y MORTIMER, E. A. Jr. «Thirty-five year mortality following receipt of SV40- contaminated polio vaccine during the neonatal period», British Journal of Cancer, 2001; 85: 1295-7. CUTRONE, R., LEDNICKY, J., DUNN, G., RIZZO, P., BOCCHETTA, M., CHUMAKOV, K., MINOR, P. y CARBONE, M. «Some oral poliovirus vaccines were contaminated with infectious SV40 after 1961», Cancer Research, 2005; 65: 10273-9. ENGELS, E. A., KATKI, H. A., NIELSEN, N. M., WINTHER, J. F., HJALGRIM, H., GJERRIS, F., ROSENBERG, P. S. y FRISCH, M. «Cancer incidence in Denmark following exposure to poliovirus vaccine contaminated with simian virus 40», Journal of the National Cancer Institute, 2003; 95:532-9. HÜBNER, R. y MARCK, E. VAN. «Reappraisal of the strong association between simian virus 40 and human malignant mesothelioma of the pleura (Belgium)», Cancer Causes Control, 2002; 13: 121-9. LÓPEZ-RÍOS, F., ILLEI, P. B., RUSCH, V. y LADANYI, M. «Evidence against a role for SV40 infection in human mesotheliomas and high risk of false-positive PCR results owing to presence of SV40 sequences in common laboratory plasmids», Lancet, 2004; 364: 1157-66. MORTIMER, E. A. Jr., LEPOW, M. L., GOLD, E., ROBBINS, F. C., BURTON, G. J. y FRAUMENI, J. F. Jr. «Long-term follow-up of persons inadvertently inoculated with SV40 as neonates», The New England Journal of Medicine, 1981; 305: 1517-1518. National Cancer Institute. Simian Virus 40 and human cancer. OLIN, P. y GIESECKE, J. «Potential exposure to SV40 in polio vaccines used in Sweden during 1957: no impact on cancer incidence rates 1960 to 1993», Developments in Biological Standardization, 1998; 94: 227-33. STRICKLER, H. D. International SV40 Working Group. «A multicenter evaluation of assays for detection of SV40 DNA and results in masked mesothelioma specimens», Cancer Epidemiologics, Biomarkers & Prevention, 2001;10: 523-32. STRICKLER, H. D., ROSENBERG, P. S., DEVESA, S. S., HERTEL, J., FRAUMENI, J. F. Jr. y GOEDERT, J.J. «Contamination of poliovirus vaccines with simian virus 40 (1955-1963) and subsequent cancer rates», Journal of American Medical Association (JAMA), 1998; 279: 292-5. STRICKLER, H. D., GOEDERT, J. J., DEVESA, S. S., LAHEY, J., FRAUMENI, J. F. Jr. y ROSENBERG, P. S. «Trends in U.S. pleural mesothelioma incidence rates following simian virus 40 contamination of early poliovirus vaccines», Journal of the National Cancer Institute, 2003; 95: 38-45. GALL, S. A. «Vaccines for pertussis and influenza: recommendations for use in pregnancy», Clin Obstet Gynecol, 2008; 51: 486-97. BALZOLA, F. A., CASTELLINO, F., COLOMBATTO, P., MANZINI, P., ASTEGIANO, M., VERME, G., BRUNETTO, M. R., PERA, A. y BONINO, F. «IgM antibody against measles virus in patients with inflammatory bowel disease: a marker of virus-related disease?», European Journal of Gastroenterology and Hepatology, 1997; 9: 661-3. BARON, S., TURCK, D., LEPLAT, C., MERLE, V., GOWER-ROUSSEAU, C., MARTI, R., YZET, T., LEREBOURS, E., DUPAS, J. L., DEBEUGNY, S., SALOMEZ, J. L., CORTOT, A. y COLOMBEL, J. F. «Environmental risk factors in paediatric inflammatory bowel diseases: a population based case control study», European Journal of Gastroenterology and Hepatology, 2005; 54: 357-63. BERNSTEIN, C. N., RAWSTHORNE, P. y BLANCHARD, J. F. «Population-based case-control study of measles, mumps, and rubella and inflammatory bowel disease», Inflammatory Bowel Disease, 2007; 13: 759-62. DASZAK, P., PURCELL, M., LEWIN, J., DHILLON, A. P., POUNDER, R. E. y WAKEFIELD, A. J. «Detection and comparative analysis of persistent measles virus infection in Crohn’s disease by immunogold electron microscopy», Jour nal of Clinical Pathology, 1997; 50: 299-304. DAVIS, R. L. y BOHLKE, K. «Measles vaccination and inflammatory bowel disease: controversy laid to rest?», Drug Safety, 2001; 24: 939-46. DAVIS, R. L., KRAMARZ, P., BOHLKE, K., BENSON, P., THOMPSON, R. S., MULLOOLY, J., BLACK, S., SHINEFIELD, H., LEWIS, E., Ward, J., MARCY, S. M., ERIKSEN, E., DESTEFANO, F. y Chen, R. «Vaccine Safety Datalink Team. Measles-mumps-rubella and other measles-containing vaccines do not increase the risk for inflammatory bowel disease: a case-control study from the Vaccine Safety Datalink project», Archives of Pediatric and Adolescent Medicine, 2001; 155: 354-9. EKBOM, A., WAKEFIELD, A. J., ZACK, M., ADAMI, H. O. 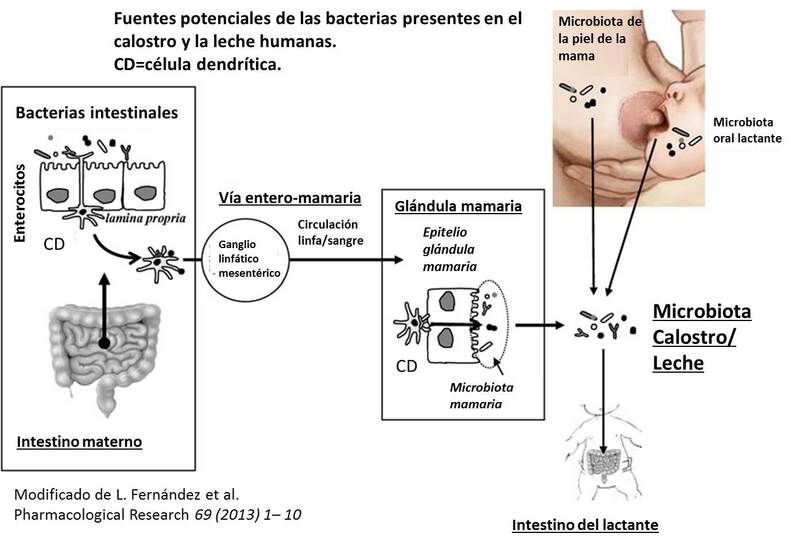 «Perinatal measles infection and subsequent Crohn’s disease»,. Lancet, 1994; 344: 508-10. FEENEY, M., CIEGG, A., WINWOOD, P. y SNOOK, J. «A case-control study of measles vaccination and inflammatory bowel disease», The East Dorset Gastroenterology Group, Lancet, 1997; 350: 764-6. GILAT, T., HACOHEN, D., LILOS, P. y LANGMAN, M. J. «Childhood factors in ulcerative colitis and Crohn‘s disease. An international cooperative study», Scandinavian Journal of Gastroenterology, 1987; 22: 1009-24. HAGA, Y., FUNAKOSHI, O., KUROE, K., KANAZAWA, K., NAKAJIMA, H., SAITO, H., MURATA, Y., MUNAKATA, A. y YOSHIDA, Y. «Absence of measles viral genomic sequence in intestinal tissues from Crohn’s disease by nested polymerase chain reaction», European Journal of Gastroenterology and Hepatology,1996; 38: 211-5. KANGRO, H. O., CHONG, S. K., HARDIMAN, A., HEATH, R. B. y WALKER-SMITH, J. A. «A prospective study of viral and mycoplasma infections in chronic inflammatory bowel disease», Gastroenterology, 1990; 98: 549-53. LAVY, A., BROIDE, E., REIF, S., KETER, D., NIV, Y., ODES, S., ELIAKIM, R., HALAK, A., RON, Y., PATZ, J., FICH, A., VILLA, Y., ARBER, N. y GILAT, T. «Measles is more prevalent in Crohn’s disease patients. A multicentre Israeli study», Digestive and Liver Disease, 2001; 33: 472-6. MONTGOMERY, S. M., MORRIS, D. L., POUNDER, R. E. y WAKEFIELD, A. J. «Paramyxovirus infections in childhood and subsequent inflammatory bowel disease», Gastroenterology, 1999; 116: 796-803. MORRIS, D. L., MONTGOMERY, S. M., THOMPSON, N. P., EBRAHIM, S., POUNDER, R. E. y WAKEFIELD, A. J. «Measles vaccination and inflammatory bowel disease: a national British Cohort Study», The American Journal of Gastroenterology, 2000; 95: 3507-12. PARDI, D. S., TREMAINE, W. J., SANDBORN, W. J., LOFTUS, E. V. Jr., POLAND, G. A., HARMSEN, W. S., ZINSMEISTER, A. R. y MELTON, L. J. 3rd. «Early measles virus infection is associated with the development of inflammatory bowel disease», The American Journal of Gastroenterology, 2000; 95: 1480-5. PARDI, D. S., TREMAINE, W. J., SANDBORN, W. J., LOFTUS, E. V. Jr., POLAND, G. A. y MELTON, L. J. 3rd. «Perinatal exposure to measles virus is not associated with the development of inflammatory bowel disease», Inflammatory Bowel Diseases, 1999; 5: 104-6. SAITO, M., HOZUMI, I., KAWAKAMI, A. y TSUJI, S. «A case of post-rubella Guillain-Barré syndrome associated with ulcerative colitis», Rinsho Shinkeigaku, 1994; 34: 1121-4. SEAGROATT, V. y GOLDACRE, M. J. «Crohn’s disease, ulcerative colitis, and measles vaccine in an English population, 1979-1998», Journal of Epidemiology and Community Health, 2003; 57: 883-7. THOMPSON, N. P., MONTGOMERY, S. M., POUNDER, R. E. y WAKEFIELD, A. J. «Is measles vaccination a risk factor for inflammatory bowel disease?», Lancet, 1995; 345: 1071-4. THOMPSON, N. P., POUNDER, R. E. y WAKEFIELD, A. J. «Perinatal and childhood risk factors for inflammatory bowel disease: a case-control study», European Journal of Gastroenterology and Hepatology, 1995; 7: 385-90. WAKEFIELD, A. J., MURCH, S. H., ANTHONY, A., LINNELL, J., CASSON, D. M., MALIK, M., BERELOWITZ, M., DHILLON, A. P., THOMSON, M. A., HARVEY, P., VALENTINE, A., DAVIES, S. E. y WALKER-SMITH, J. A. «Ileal-lymphoid-nodular hyperplasia, non-specific colitis, and pervasive developmental disorder in children», Lancet, 1998; 351: 637-41. WAKEFIELD, A. J., PITTILO, R. M., SIM, R., COSBY, S. L., STEPHENSON, J. R., DHILLON, A. P. y POUNDER, R. E. «Evidence of persistent measles virus infection in Crohn‘s disease», Journal of Medical Virology, 1993; 39: 345-53. WARD, B. y DEWALS, P. «Association between measles infection and the occurrence of chronic inflammatory bowel disease», Canada Communicable Disease Report, 1997; 23: 1-5. Paul A. Offit, Autism’s False Prophets: Bad Science, Risky Medicine, and the Search for a Cure, Columbia University Press, Nueva York, 2008. Michael Fitzpatrick, Defeating Autism: A Damaging Delusion, Routledge, Londres, 2008. BAKER, J. P. «Mercury, Vaccines, and Autism. One Controversy, Three Histories», American Journal of Public Health, 2008; 98: 244-253. CLARK, S. J., CABANA, M. D., MALIK, T., YUSUF, H., GARY, L. y FREED, G. L. «Hepatitis B Vaccination Practices in Hospital Newborn Nurseries Before and After Changes in Vaccination Recommendations», Archives of Pediatric and Adolescent Medicine, 2001; 155: 915-920. Comité Consultivo Mundial sobre Seguridad de las Vacunas. El tiomersal y las vacunas: preguntas y respuestas. Comité Consultivo Mundial sobre Seguridad de las Vacunas. Declaración sobre el tiomersal, julio de 2006. FITZPATRICK, M. «MMR: risk, choice, chance», British Medical Bulletin, 2004; 69: 143-153. FOMBONNE, E. y CHAKRABARTI, S. «No evidence for a new variant of measlesmumps-rubella-induced autism», Pediatrics, 2001; 108: E58. HVIID, A., STELLFELD, M., WOHLFAHRT, J. y MELBYE, M. «Association between thimerosal-containing vaccine and autism», Journal of the American Medical Association, 2003; 290: 1763-6. Institute of Medicine Immunization Safety Review. Vaccines and Autism. National Academies Press, Washington, 2004. JOHNSON, C. P. y MYERS, S. M. American Academy of Pediatrics Council on Children with Disabilities. «Identification and evaluation of children with autism spectrum disorders», Pediatrics, 2007; 120: 1183-215. WAKEFIELD, A. J., ANTHONY, A., MURCH, S. H., THOMSON, M., MONTGOMERY, S. M., DAVIES, S., O’LEARY, J. J., BERELOWITZ, M. y WALKER-SMITH, J. A. 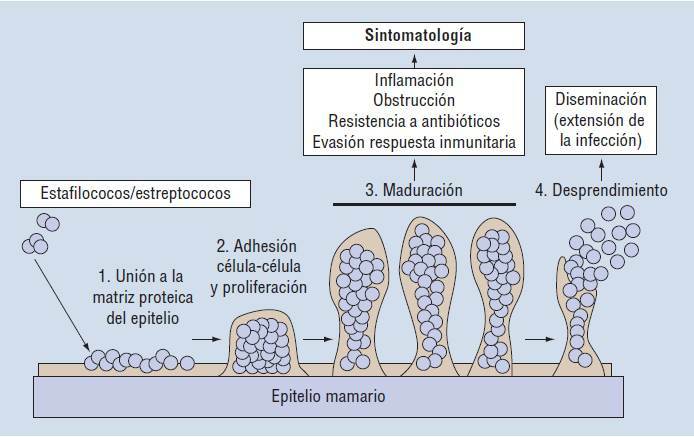 «Enterocolitis in children with developmental disorders», The American Journal of Gastroenterology, 2000; 95: 2285-95. CARROLL, E. E., DUBIELZIG, R. R. y SCHULTZ, R. D. «Cats differ from mink and ferrets in their response to commercial vaccines: a histologic comparison of early vaccine reactions», Veterinary Pathology, 2002; 39: 216-27. DEIM, Z., PALMAI, N. y CSERNI, G. «Feline vaccine-associated fibrosarcoma induced by aluminium compound in two cats: short communication», Acta Veterinaria Hungarica, 2008; 56: 111-6. FERNÁNDEZ-LORENZO, J. R., COCHO, J. A., REY-GOLDAR, M. L., COUCE, M. y FRAGA, J. M. «Aluminum contents of human milk, cow’s milk, and infant formulas», Journal of Pediatric Gastroenterology and Nutrition, 1999; 28: 270-5. FERNÁNDEZ MARTÍN, J. L. y CANNATA, J. B. «Evolución de la concentración de aluminio en la solución final de diálisis: estudio multicéntrico en centros de diálisis españoles», Nefrología, 2000; 20: 342-7. GANROT, P. O. «Metabolism and possible health effects of aluminum», Environ Health Perspect, 1986 mar; 65: 363-441. GHERARDI, R. K. «Myofasciite à macrophages et hydroxyde d‘aluminium: vers la définition d‘un syndrome des adjuvants», Revue Neurologique (París), 2003; 159: 162-4. GROMEIER, M. y WIMMER, E. «Mechanism of injury-provoked poliomyelitis», The Journal of Virology, 1998; 72: 5056-60. KANNEGIETER, N. J., SCHAAF, K. L., LOVELL, D. K., SIMON, C. D. y STONE, B. M. «Myofibroblastic fibrosarcoma with multifocal osseous metaplasia at the site of equine influenza vaccination», Australian Veterinary Journal, 2010; 88: 132-6. LACH, B. y CUPLER, E. J. «Macrophagic myofasciitis in children is a localized reaction to vaccination», Journal of Child Neurology, 2008; 23: 614-9. MCLEAN, D. M., BACH, R. D., QUANTZ, E. J. y MCNAUGHTON, G. A. «Enterovirus infections in Toronto during 1962», Canadian Medical Association Journal, 1963 jul 6; 89: 16-9. MUNDAY, J. S., STEDMAN, N. L. y RICHEY, L. J. «Histology and immunohistochemistry of seven ferret vaccination-site fibrosarcomas», Veterinary Pathology, 2003; 40: 288-93. OFFIT, P. A. y JEW, R. K. «Addressing parents’ concerns: do vaccines contain harmful preservatives, adjuvants, additives, or residuals?», Pediatrics, 2003; 112: 1394-7. RONDEAU, V., JACQMIN-GADDA, H., COMMENGES, D., HELMER, C. y DARTIGUES, J. F. «Aluminum and silica in drinking water and the risk of Alzheimer’s disease or cognitive decline: findings from 15-year follow-up of the PAQUID cohort», American Journal of Epidemiology, 2009; 169: 489-96. WALLIS, C., MELNICK, J. L., FERRY, G. D. y WIMBERLY, I. L. «An aluminum marker for the differentiation and separation of virulent and attenuated polioviruses», The Journal of Experimental Medicine, 1962; 115: 763-75. DESTEFANO, F., MULLOOLY, J. P., OKORO, C. A., CHEN, R. T., MARCY, S. M., WARD, J. I., VADHEIM, C. M., BLACK, S. B., SHINEFIELD, H. R., DAVIS, R.L., BOHLKE, K.; Vaccine Safety Datalink Team. «Childhood vaccinations, vaccination timing, and risk of type 1 diabetes mellitus», Pediatrics, 2001; 108: E112. BEST, M. y NEUHAUSER, D. «Ignaz Semmelweis and the birth of infection control», Quality and Safety in Health Care, 2004; 13: 233-234. Centro Nacional de Enfermedades Infecciosas. Hepatitis viral B.
InfoSida. El VIH y su tratamiento: qué debe usted saber. MATZKIN, H. y REGEV, S. «Naturally acquired immunity to tetanus toxin in an isolated community», Infection and Immunity, 1985; 48: 267-8. PELTOLA, H. y HEINONEN, O. P. «Frequency of true adverse reactions to measles-mumps-rubella vaccine. A double-blind placebo-controlled trial in twins», Lancet, 1986; 1: 939-42. TURCOTTE, K., RAINA, P. y MOYER, V. A. «Above all, do no harm: assessing the risk of an adverse reaction», The Western Journal of Medicine, 2001; 174: 325-9. VIRTANEN, M., PELTOLA, H., PAUNIO, M. y HEINONEN, O. P. «Day-to-day reactogenicity and the healthy vaccinee effect of measles-mumps-rubella vaccination», Pediatrics, 2000; 106: E62. WHARTON, M. «Vaccine safety: current systems and recent findings», Current Opinion in Pediatrics, 2010; 88-93. Presupuesto del Ministerio de Defensa español en 2010. Gasto de los españoles en «medicinas alternativas», estimaciones a septiembre de 2010 de Femalt, Fundación Europea de Medicinas Alternativas. Valor de las ventas en 2007 de caramelos y chicles de las empresas pertenecientes a la Asociación Española de Fabricantes de Caramelos y Chicles (Caychi). Facturación compañía Boiron. Multinacional fabricante de medicamentos homeopáticos. GERVÁS CAMACHO, J., SEGURA BENEDICTO, A. y GARCÍA-ONIEVA ARTAZCOZ, M. «Ética y vacunas: más allá del acto clínico», en: Bioética y pediatría. Proyectos de vida plena, REYES, M. y SÁNCHEZ, M. (eds. ), Ergon-Sociedad de Pediatría Madrid Castilla-La Mancha, Madrid, 2010. RODRÍGUEZ, M. y STOYANOVA, A. Las cuentas de Salud Pública en Cataluña, Generalitat de Catalunya, Departament de Salut, Barcelona, 2007. PIQUER-GIBERT, M., PLAZA-MARTÍN, A., MARTORELL-ARAGONÉS, A., FERRÉ-YBARZ, L., ECHEVERRÍA-ZUDAIRE, L., BONÉ-CALVO, J. y NEVOT-FALCÓ, S. Food Allergy Committee of the Sociedad Española de Inmunología Clínica y Alergología Pediátrica. «Recommendations for administering the triple viral vaccine and antiinfluenza vaccine in patients with egg allergy», Allergologia et Immunopathologia, 2007; 35: 209-12. TORRES BORREGO, J. y GUZMÁN, E. G. «Seguridad de la vacunación triple vírica en pacientes con alergia al huevo», Anales de Pediatría, 2006; 64: 464-7. OMECAÑA TERÉS, F., GARCÍA-SICILIA LÓPEZ, J. «Vacunación y lactancia materna», en: Comité Asesor de Vacunas. Asociación Española de Pediatría. Manual de vacunas en pediatría, 4.ª edición, 2008. PISACANE, A., CONTINISIO, P., PALMA, O., CATALDO, S., DE MICHELE, F. y VAIRO, U. «Breastfeeding and risk for fever after immunization», Pediatrics, 2010; 125: e1448-52. ROUSH, S. W. y MURPHY, T. V. «Vaccine-Preventable Disease Table Working Group. Historical comparisons of morbidity and mortality for vaccinepreventable diseases in the United States», The Journal of the American Medical Association, 2007; 298: 2155-63. BUSSE, J. W., MORGAN, L. y CAMPBELL, J. B. «Chiropractic antivaccination arguments», Journal of Manipulative and Physiological Therapeutics, 2005; 5: 367-373. CRUMP, S. C. y OXLEY, M. «Society of Homeopaths does not advise against vaccination», British Medical Journal, 326: 164. ERNST, E. «The attitude against immunisation within some branches of complementary medicine», European Journal of Pediatrics, 1997; 156: 513-5. LEHRKE, P., NUEBLING, M., HOFMANN, F. y STOESSEL, U. «Attitudes of homoeopathic physicians towards vaccination», Vaccine, 2001; 19: 4859-64. SCHMIDT, K. y ERNST, E. «Survey shows that some homoeopaths and chiropractors advise against MMR», British Medical Journal, 2002; 325: 597. No vacuné a mi hijo, ¿ahora qué hago? Calendario acelerado de vacunaciones de la Asociación Española de Pediatría. KATA, A. «A postmodern Pandora’s box: Anti-vaccination misinformation on the Internet», Vaccine, 2010; 28:1709-1716.